Goyararu Martial Arts Birmingham, West Midlands, UK. Please create a link to our site. The html code below can be used to link back to a selection of graphics on this site. 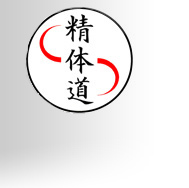 Goyararu Martial Arts, Birmingham, West Midlands, UK. The text link can be used either on its own or in addition to any of the graphics above. Martial arts artist Karate Birmingham West Midlands Brum Bham; Bearwood smethwick, Edgbaston, Halesowen birmingham Harborne, Hockley, Hodge Hill, Kings Heath, Kings Norton, Kingstanding, Moseley, Northfield, Perry Barr, Quinton, Rowley netherton blackheath cradley heath Selly Oak Park Walmley. Warley Warstock, Washwood Heath. Weoley Castle, Wylde Green, Yardley Wood, Oldbury, Dudley, Bromwich: Kickboxing, Karate do, Kung-fu, Self Defence Defense, marshall, Classes, lessons clubs, Expert instructor tuition qualified film TV, Childrens adults kids female ladies womens. Safe quality traditional Effective. PT personal trainer, one to one fitness. England: Bath, Birmingham, Bradford, Brighton and Hove, Bristol, Cambridge, Canterbury Carlisle Chester, Chichester, Coventry, Derby, Durham, Ely, Exeter, Gloucester, Hereford, Hull Lancaster, Leeds, Leicester, Lichfield Lincoln, Liverpool, London, Manchester, Newcastle upon Tyne, Norwich Nottingham, Oxford, Peterborough, Plymouth, Portsmouth, Preston, Ripon Salford Salisbury, Sheffield Southampton St Albans, Stoke-on-Trent, Sunderland, Winchester, Wolverhampton, Worcester, York.